South America boasts some of the biggest stars in world football and they are set to collide on the international stage next summer. The 46th edition of the Copa America will take place next year as South America’s best teams fight it out for the continental crown. Heavyweights of world football such as Argentina and Brazil will lock horns, as well as the tournament’s most successful team, Uruguay. With some of the best players in the world on display, including Neymar and potentially Lionel Messi, it boasts a unique allure, with the continent’s Joga Bonito philosophy strongly imbued. 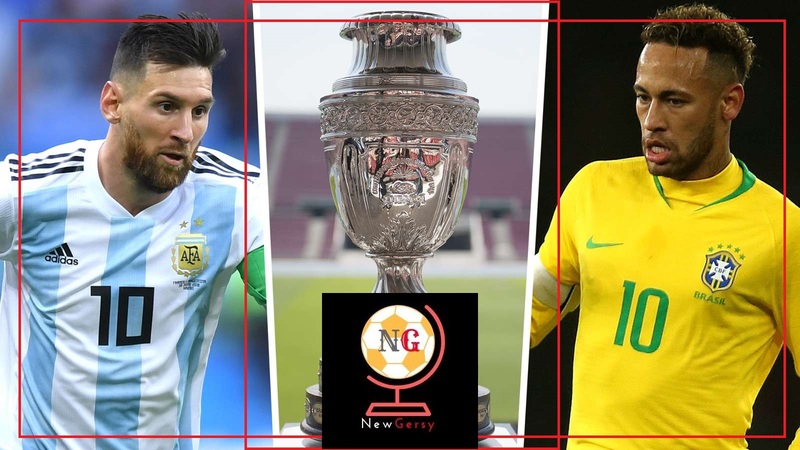 Ahead of the 2019 tournament, NewGersy brings you everything you need to know, including when it is, teams involved, fixtures, results and more. When is Copa America 2019? The 2019 Copa America is set to get underway on June 14 and it will run for three weeks until the final on July 7. Group games will finish on June 24 and there will be a three-day break before knockout fixtures are played from June 27. Notably, it will be the last Copa America tournament to be held on an odd year, with CONMEBOL initiating a change to the scheduling. From 2020 on, the Copa America will follow the same calendar as UEFA’s European Championship. When is the Copa America 2019 draw? A total of 12 teams will compete in the 2019 Copa America and the draw is set to take place on January 24. The draw will be held at the Cidade des Artes (City of Arts), a cultural complex located in Rio de Janeiro. Draw proceedings are scheduled to commence at 8:30 pm local time (10:30 pm GMT /5:30 pm ET). You can see the teams that are in the draw in the table below. As you can see, there are 10 CONMEBOL representatives and two extra teams from the AFC, Qatar and Japan, who accepted invitations to take part. Brazil will host the 2019 edition of the tournament and it will be their first time staging it since 1989. It will be the fifth time the Copa America is being held in Brazil, with the country previously hosting in 1919, 1922 and 1949, as well as 1989. Games will take place in six stadiums across five cities, which you can see in the table above. The opening match will be played at Estadio do Morumbi – home of the team Sao Paulo – in Sao Paulo and the final will take place at the Maracana in Rio de Janeiro. It remains to be seen exactly which networks will secure the rights to broadcast the 2019 Copa America in the United States and the United Kingdom. In the US, the tournament will be broadcast in both Spanish and English, with Telemundo clinching the Spanish rights. In 2016, the Copa America Centenario broadcasting rights were held by FOX and Univision in the US, while Premier Sports held the rights in the UK. Who won the last Copa America? Chile are the defending champions after winning the 2016 Copa America Centenario in the United States. La Roja, then managed by Juan Antonio Pizzi, defeated Argentina on penalties in the final. It was Chile’s second consecutive title win following their maiden triumph in 2015.